Last Saturday morning I arose as early as I possibly could to ensure that I was fully prepared for the day ahead. It was the morning we were all waiting for. The morning of Galway Fashion Trail. 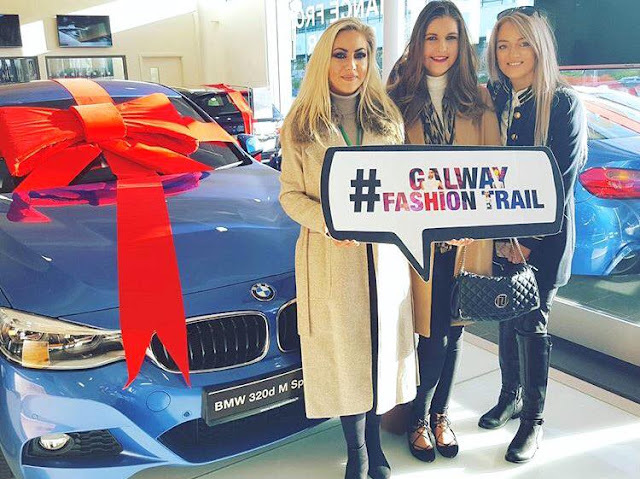 This was my fourth time to attend a Fashion Trail hosted and created by Golden Egg Productions and Galway Now Magazine in collaboration with Into The West Blogger Network. So as you can imagine I have really enjoyed each and every experience. 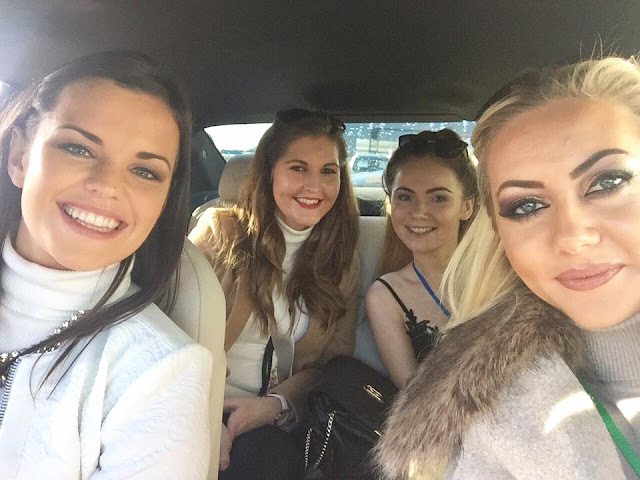 The morning began with a lavish Blogger's Breakfast in Colm Quinn BMW showrooms. Before we were chauffeured around the city ahead of the eight fashion shows that were to take place that day. 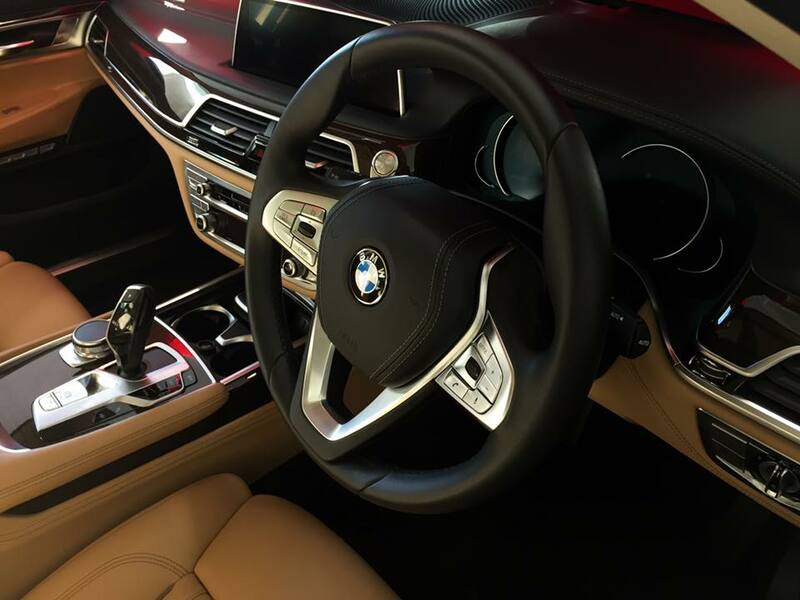 Colm Quinn's BMW showrooms are absolutely stunning,which adds an even more luxurious experience. I couldn't help but take outfits photos in such a prestigious environment. The eight fashion shows on the day took place in Colette Latchford, Greene's Shoes featuring Galway Hat Shop, Treasure Chest, Willow, Rococo, Choice, Kilkenny and Harper. All eight shows proved how much Galway's high street has to offer. 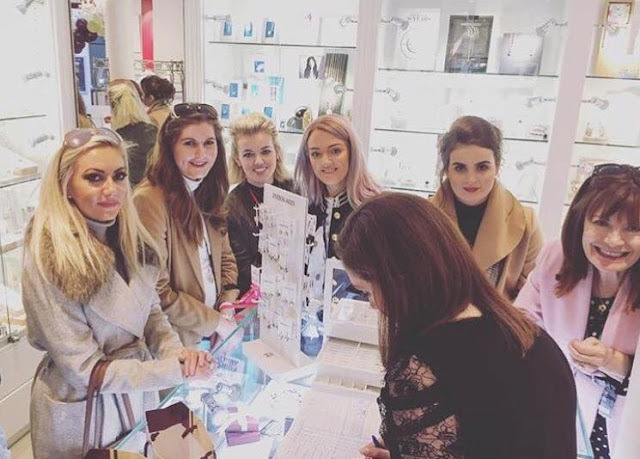 Milliner's such as Majella Lennon, Brid O'Driscoll and Suzie Mahony also collaborated with exclusive boutiques on the day. We also got a glimpse of Colin Burke's high fashion collection which left us dreaming of sitting front row of Paris Fashion Week. With a few moments to spare, we made our way to Caprice Cafe which has the most beautiful cream interiors which go oh so perfectly with my Instagram theme if I do say so myself. We were treated to lunch and their infamous organic coffee. If you haven't tried the mocha's here what are you waiting for? We finished the day with a 'Wrap Party' in the Front Door Pub in Galway, which is a very popular spot for locals and tourists a like. From start to finish the day was a huge success. #GalwayFashionTrail was trending number 1 on twitter from 11:30am which really proves the importance of having bloggers and press at an event if you are looking for high profile media attention. 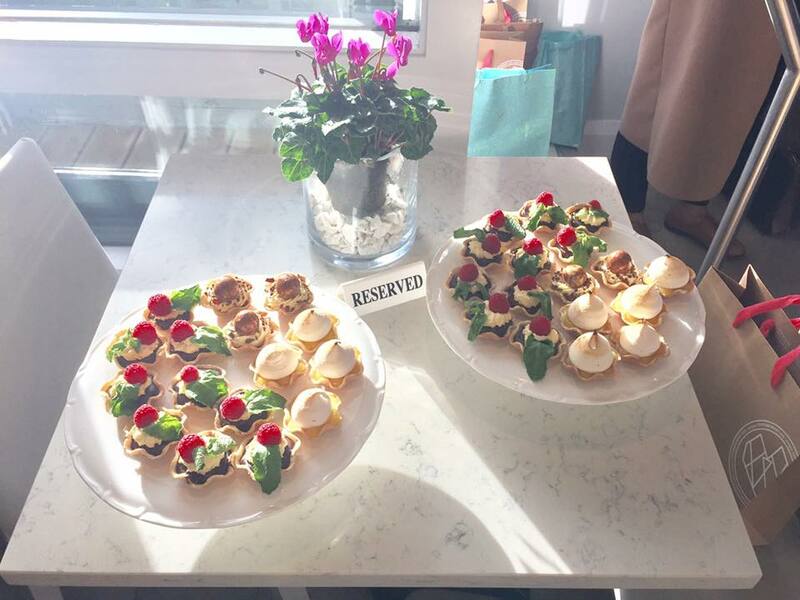 Now that I feel am an experienced Fashion Trail attendee I thought that I would put together a 'Survival Guide' for any newbie bloggers attending the event or for any guests attending the event for the very first time. Fail to prepare... Prepare to fail. This quote does not only apply to exams but also very much to Galway Fashion Trail. Check the weather in advance, lay out your clothes out the night before. Pack your handbag the night before. Ensure that your phone and power banks are fully charged, believe me, you will need them. Anything that you need to make your morning run smoother have ready to go. This can be something as simple has having your hair straighter plugged in so you don't have to go looking for plugs wasting time. How you look and dress is always important, but also taking into consideration that comfort is key. You will be on those pins all day so how are you going to take in all the beautiful shows that you will be experiencing if all you are thinking about is how much your feet are killing you and how much you are looking forward to sitting down. If you are living in Galway make sure that you have your taxi booked the night before to avoid any delays. If you have to travel to Galway for the event make sure that you pick a hotel with easy access to both the location of the Bloggers Breakfast and the Wrap Party. This will not only save you time but also money as you wont have to spend as much on transport. Throughout the day bloggers and press get treated to complimentary breakfasts, lunches, and dinners. But it is a long day and you are on your feet so make sure to have a bottle of water in your bag to stay hydrated and a few snacks to keep your going until the next rest stop. I had such an amazing day at the Fashion Trail and believe that each and every event gets better and better. 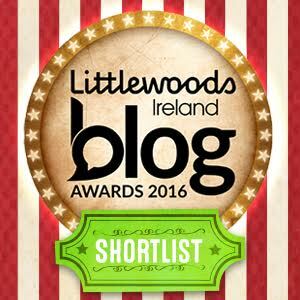 Thank you so much to Sinead and Saibh from Into The West Blogger Network, the team at Golden Egg Productions and Galway Now. Colm Quinn BMW Showrooms, Caprice Cafe, the Front Door Pub and all the boutiques that put on such incredible shows and for spoiling us with your beautiful gifts and generousity.